DUBROVNIK – On the Orthodox Church in Dubrovnik Ustasha symbols and numerous hate graffiti showed up this morning. Among them were “Hang the Serbs” (Srbe na vrbe), Croatian media reported. 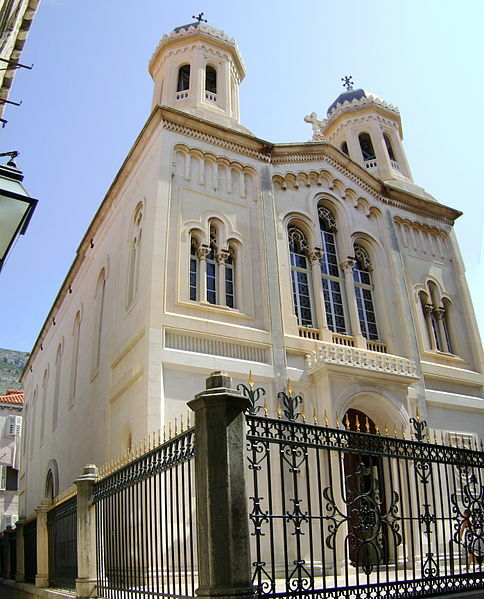 The Orthodox Church of the Holy Annunciation was built in 1877 and is located in the historic core of Dubrovnik. At the entrance to the city last night was written a graffiti “Stop Cyrillic in Vukovar. The thick fog will be down again” (Stop cirilici u Vukovaru. Opet ce se gusta magla spustiti), and many parts of Dubrovnik have been mottled, Serbian daily Blic reported.